The Homeschool Buyers Co-op is pleased to present GroupBuy savings for Mark Kistler's Online Art Lessons for ages 5 and up! 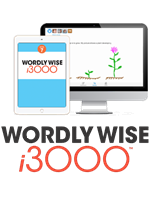 Join this GroupBuy today and get a 1-year subscription to Mark Kistler's Draw3D -- featuring 24/7/365 access to this best-selling library of 300+ online lessons -- all for only $69.00, or 30% savings off the list price of $99. Over the past three decades, the Emmy Award winning Mark Kistler has taught millions of children how to draw in 3-D on TV and in workshops around the world. His starring roles as Commander Mark and Captain Mark in the hit children's public television series The Secret City, The Draw Squad, and The New Secret City Adventures, have been enjoyed in eighteen countries by over forty million viewers. His most recent self-produced public television series, Mark Kistler's Imagination Station, has aired on over one hundred Public Television stations nationwide. 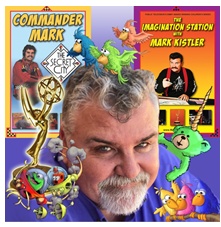 Mark has written and illustrated many popular children's drawing books with Simon & Schuster Publishers: Learn to Draw with Commander Mark, Mark Kistler's Draw Squad, The Imagination Station, and Drawing in 3-D with Mark Kistler. With Scholastic Publishers, his four book children's series is titled Dare to Draw in 3-D! Mark deeply believes that learning how to draw in 3-D builds a child's critical thinking skills while nourishing his confidence. His lessons have inspired millions of children to discover their awesome individual potential. Find out why Mark Kistler's online drawing lessons have attracted more rave reviews than any other Co-op offer! Browse the Draw3D website for more information. Try a Free Mini-Marshmallow Lesson. Read our FAQ page to ensure you understand your choices and have the minimum system requirements. Fulfillment: Within 15 minutes of receiving your order, the Co-op will publish a unique coupon code in your Co-op account that you can use to get your subscription for no additional charge. This happens automatically. Just sign in to your Co-op account. Look under "My Subscriptions" for instructions and a link. NOTE: Your coupon code will be available for 120 days, so please sign up before then. Returns/Cancellations: As this is a special group price, you cannot back out once you place your order. In order to bring you these great prices, we cannot accept cancellations. Enjoy 1 year of Mark Kistler's Draw3D with your entire household! 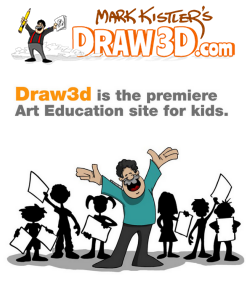 Mark Kistler's Draw3D is a suite of over 300 pre-recorded video lessons for kids of all ages. 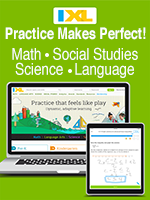 NEW lessons added every week! Unlimited Access: Watch as much as you want, whenver you want -- 24/7/365. You get unlimited access to everything Draw3D has to offer. 300+ Drawing Lessons: Video drawing lessons, printables & games. Plus, Mark's team is adding new courses and content all the time. LIVE Webcast: Join Mark Kistler every Wednesday for his LIVE Webcast Art Lessons. Learn from Anywhere: Draw3D works on any computer, tablet, or smartphone. No downloads or installs so you can access your profile from any device with an internet connection. Enter a "1", as shown in the Qty space above. Within 15 minutes of receiving your order, the Co-op will publish a unique coupon code in your Co-op account that you can use to get your subscription for no additional charge. This happens automatically. Just sign in to your Co-op account. Look under "My Subscriptions" for instructions and a link. NOTE: Your coupon code will be available in your Co-op account for 90 days, so please sign up before then.